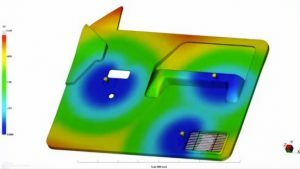 Our courses combine the theory of plastic injection moulding and Moldflow’s unique design principles together with the practical use of the simulation software and interpretation of the results. In this course, students learn features, functionalities and workflows in Autodesk Moldflow Adviser through hands-on exercises. Students learn how to become more efficient at evaluating digital prototypes, running analysis and interpreting results of all analysis types available in the Premium and Ultimate packages. Those interested in designing parts, not only for function, but also for ease of manufacture, thereby enabling parts of consistent quality to be produced cost effectively. Staff who need to understand how part and mould design can affect final part quality and cost. Design Engineers, Process Engineers, Tooling Engineers and new users of Autodesk Moldflow Adviser. Prior mould analysis experience is not necessary. £1200, including lunch and refreshments. For more information please download the training course flyer below.